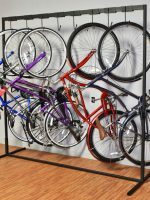 Perfect for your backroom, the Free Max is a free-standing structure that holds up to 10 bicycles vertically for easy removal and storage. 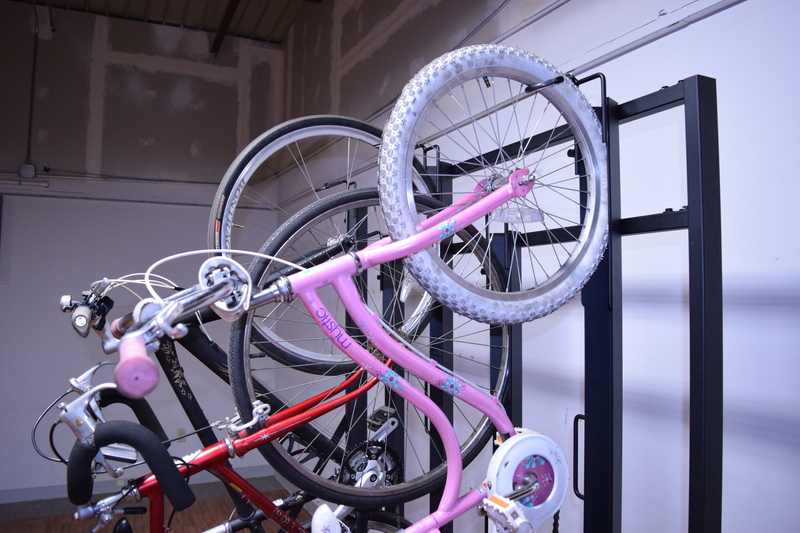 The trays are mounted to the structure in alternating heights to prevent handlebars and pedals from tangling. 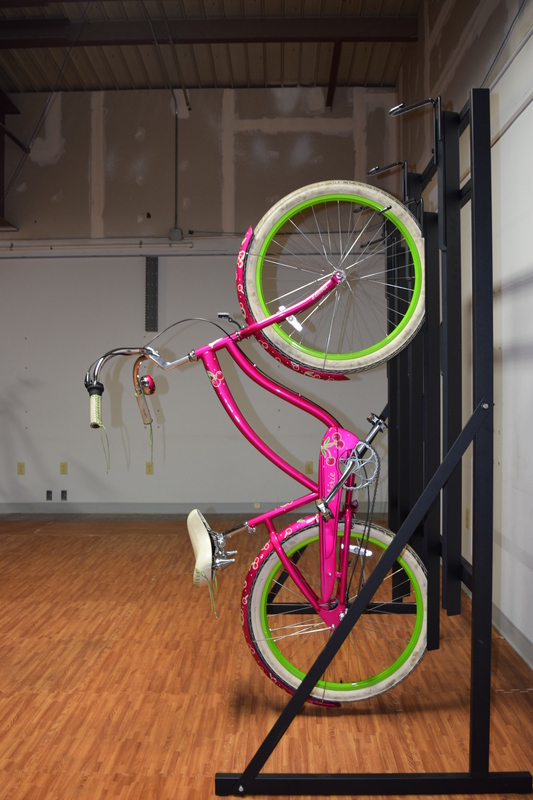 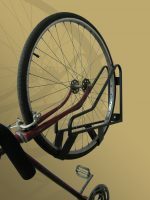 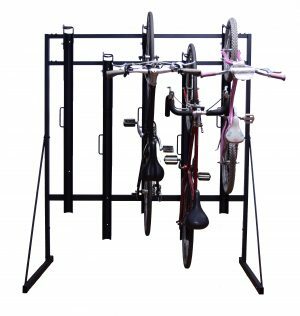 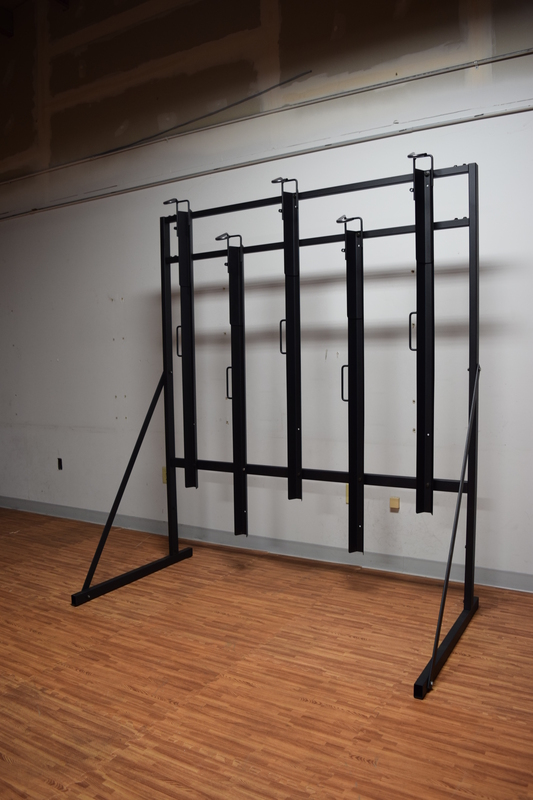 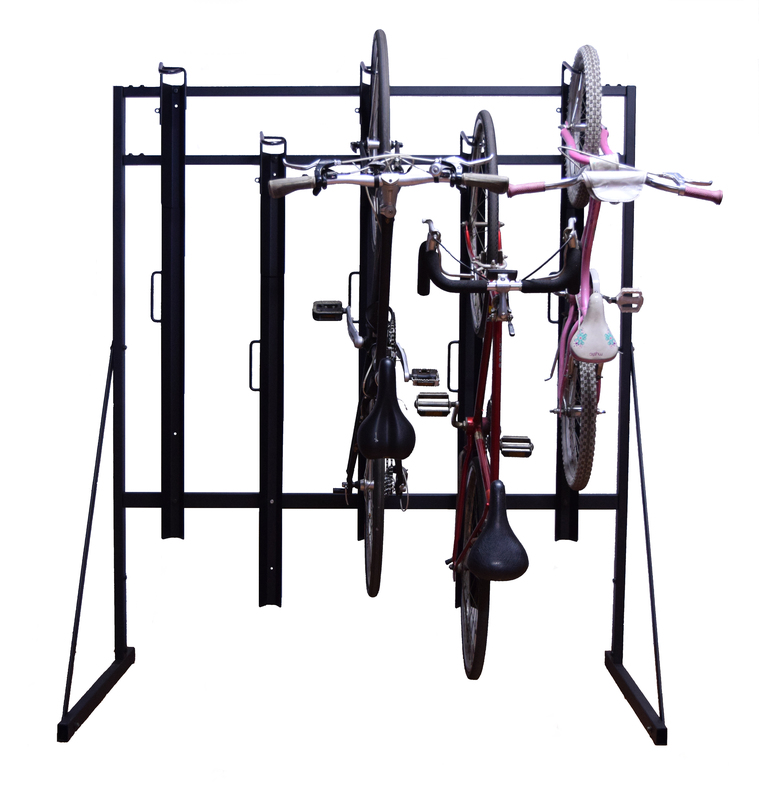 The rack can be used against the wall and holds 5 bikes on one side. 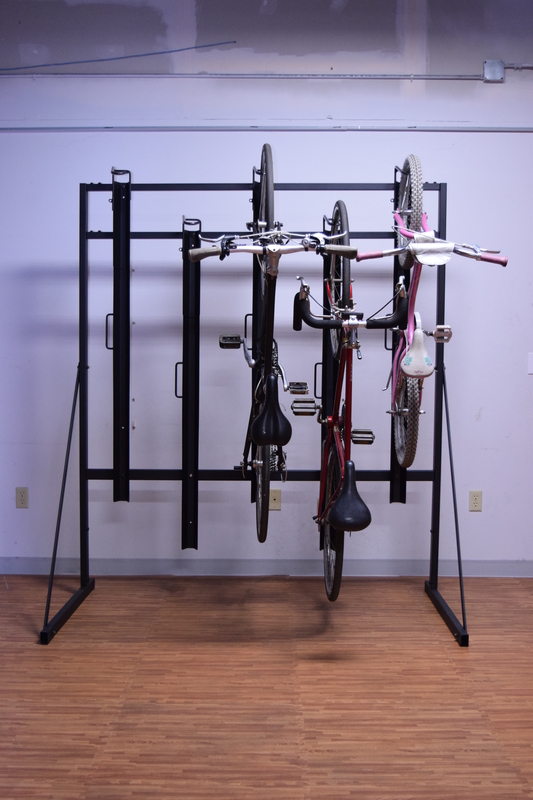 Or, it can be used in an aisle where it can be accessed from both sides and holds 10 bikes. 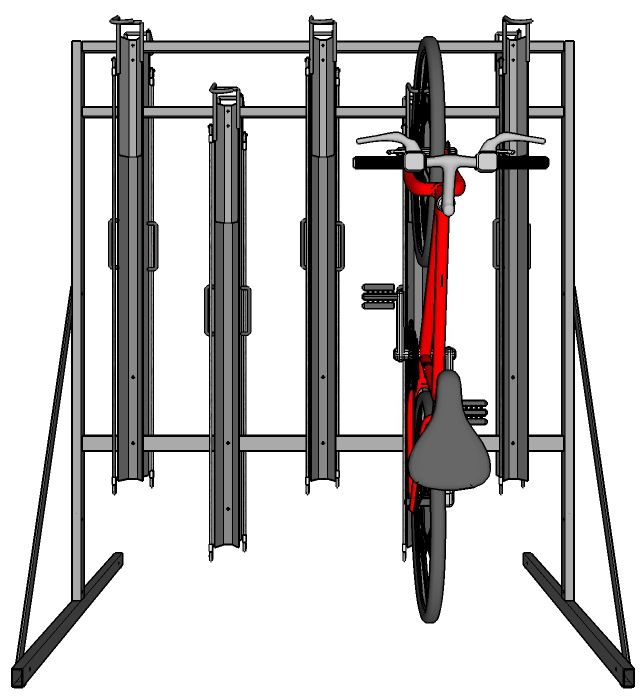 Please allow 3ft to remove bikes on each side, depending on the format of the rack. 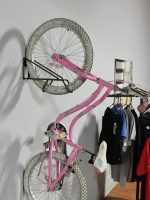 The Free Max works with road, BMX, mountain, and 29er bikes, as well as cruisers with fenders and kids bikes. 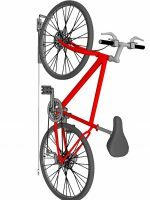 Hook is 2-3/4″ Wide.